Hey, look who came home with a second place award! 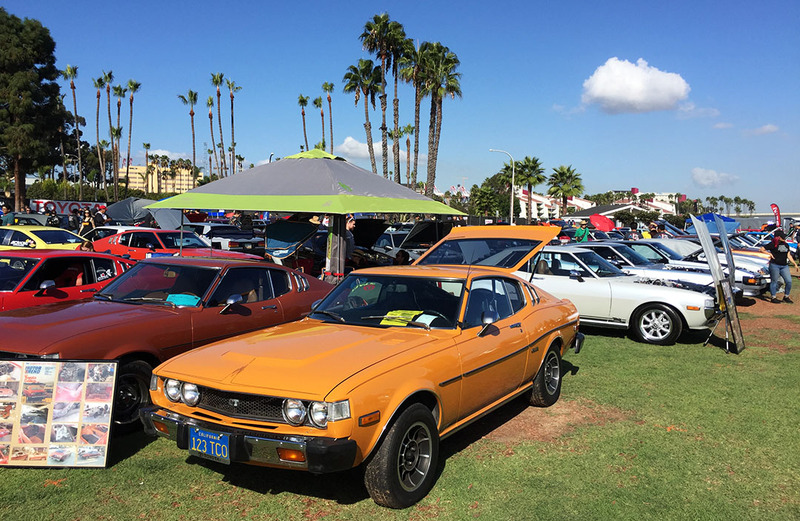 This weekend, I drove to Long Beach, California to participate in the 13th annual Japanese Classic Car Show (JCCS) along the banks of the Pacific. It was not my first time being part of the event – in fact, I guess you could say I’m a bit of a seasoned veteran now. 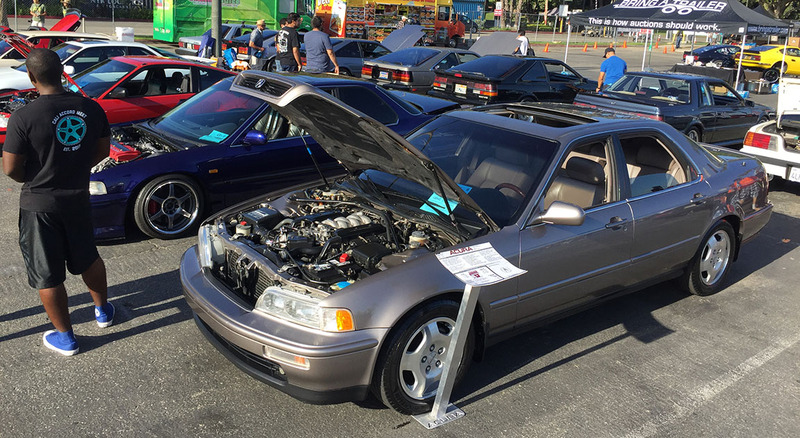 Unfortunately, the “Neo” show – specifically dedicated to 1980s and 1990s cars – was suspended for 2017 due to a potential venue change, but special consideration was made for 20 spots in the “regular” JCCS show to allow for cars from that era, and I jumped at the opportunity. There are awards given in a total of 25 categories — 3 of which are specific to Hondas. By comparison, 8 are Datsun/Nissan and 6 are Toyota, so the Honda representation tends to be smaller at this venue. I was glad to take part. One highlight was also the fact that I wasn’t the only second-generation Legend in attendance. 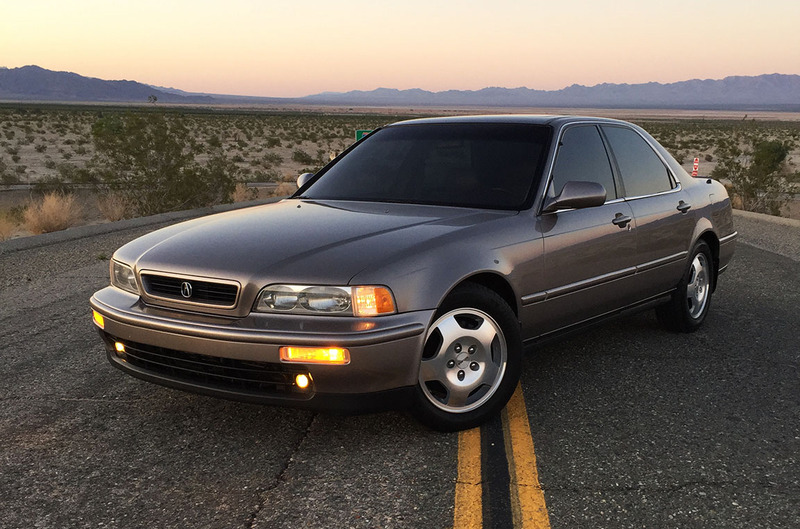 Clarion, known in the aftermarket industry as one of the premier car audio companies, has just completed a build of a sound system inside a very clean 1994 Legend LS coupe 6-speed. Jubal Leierer, Clarion’s Manager of Merchandising and Special Programs, was in attendance at NSXPO earlier this month and told me they’d have the Legend out at JCCS, which was exciting. I’ll have a special post about that car in the coming weeks. 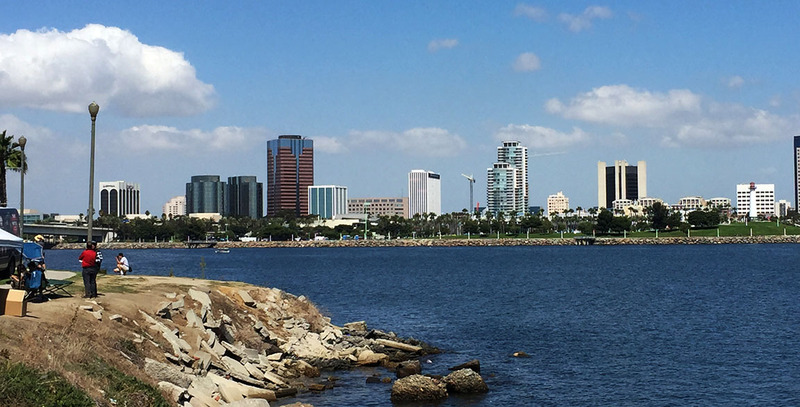 My trip to Long Beach took place last Friday, September 22nd. 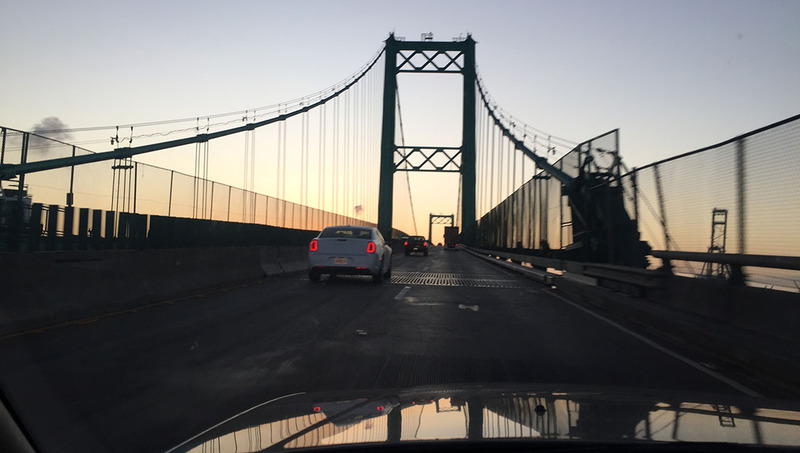 I fought some westbound traffic on Interstate 10 getting out of Phoenix, which is to be expected during the afternoon rush hour. 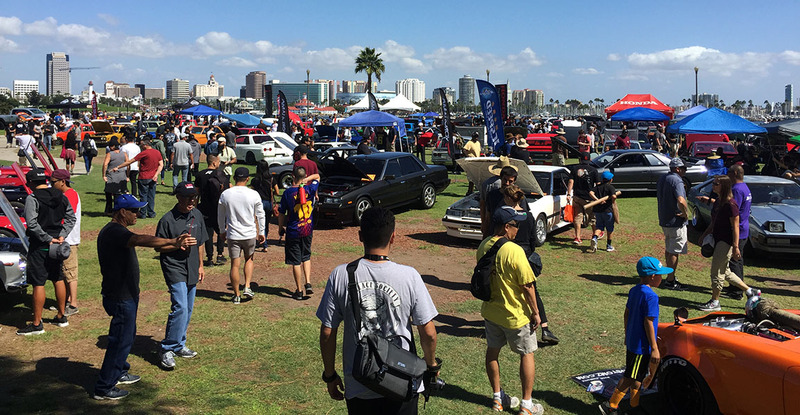 Saturday morning I had a short 15-minute jaunt from my hotel in Torrance to the JCCS venue at the Queen Mary. Right off the bat, I ran into a few friends at the registration line. 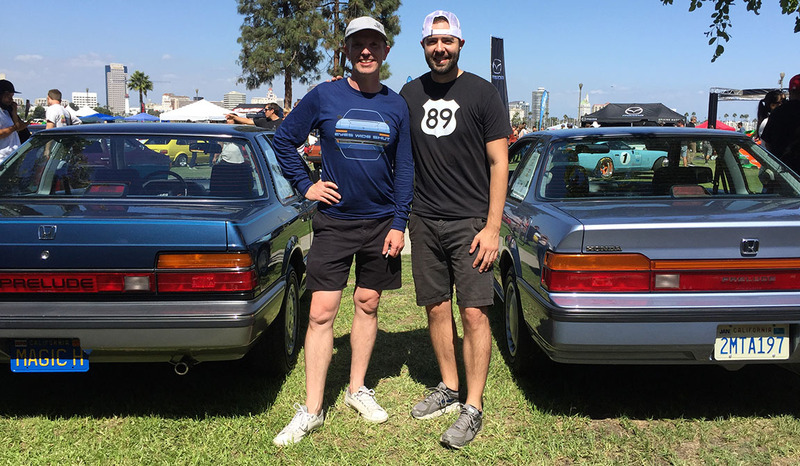 I was assigned a parking space next to a newfound friend, Daniel, who drives a 1990 Accord coupe 5-speed which he inherited from his grandmother. It was a stunning blue color. I also met a guy named Ryan who is the proud owner of a 1988 Daihatsu Charade. 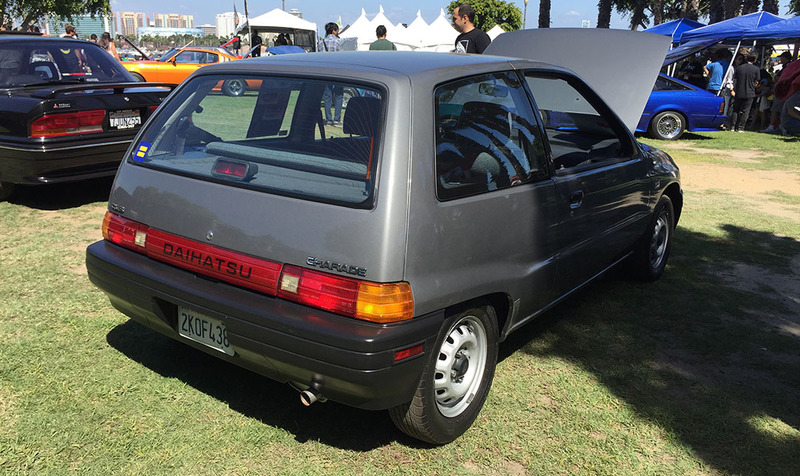 It was the only Daihatsu entered in the whole show. And it was mint! Only 56,000 miles and a 5-speed manual. 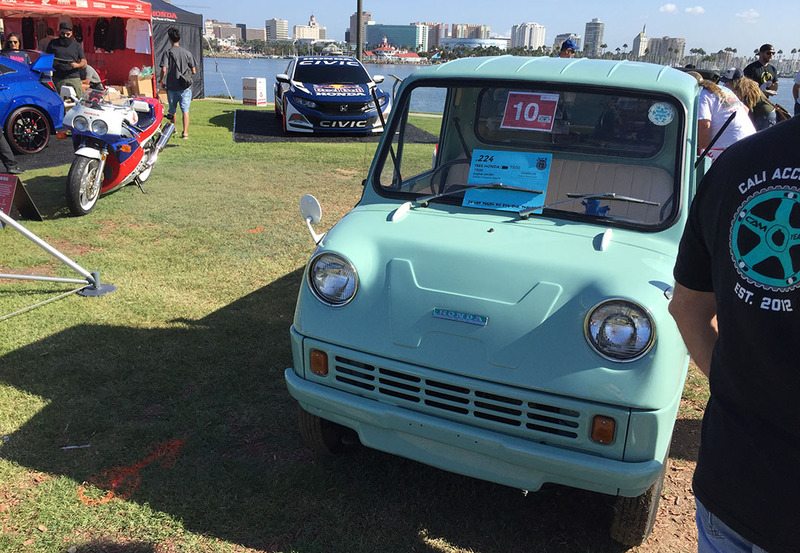 The oldest vehicle on display was this 1965 Honda T500 pickup truck. Well, I’ll second that statement! Here are a couple of videos that my Legend made it into. 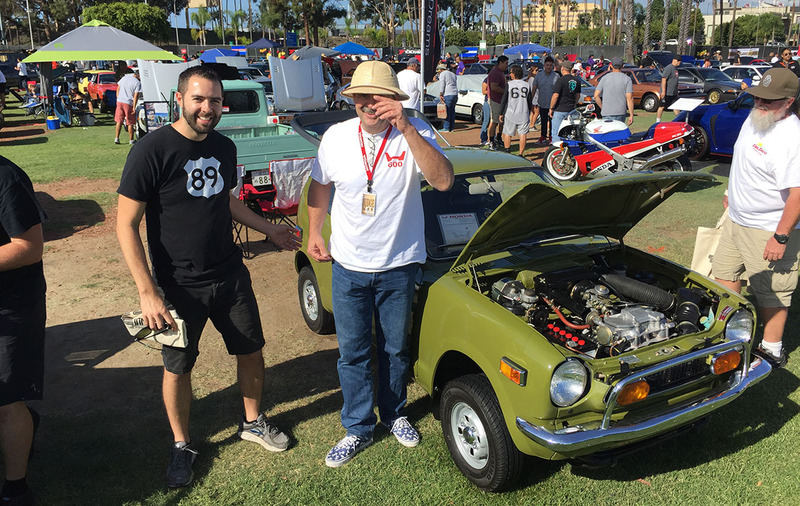 Meeting the famous Tim “Merciless” Mings who is based in Duarte, CA and who specializes in restoration of Honda N600, S600, and Z600 cars. 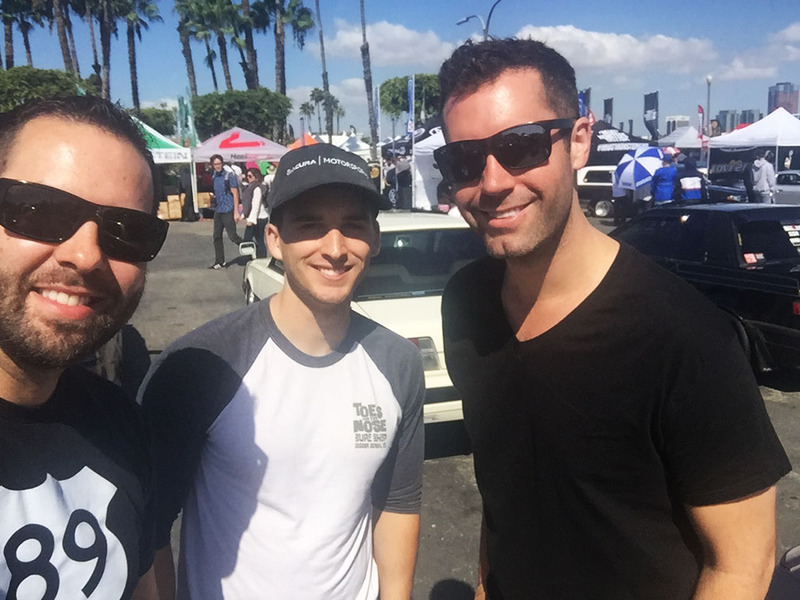 Meeting the crew including Zac from Bring a Trailer, one of my favorite automotive websites. This is Joseph’s “Royal Plum” 1992 Vigor. It’s in great shape for 188,000 miles! 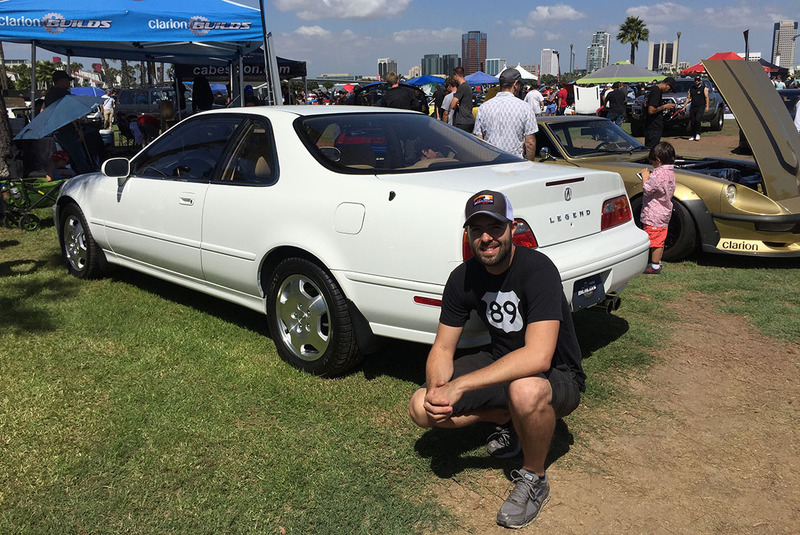 My friend Chris G’s two Preludes: 1986 and 1989. They have 49,000 and 70,000 miles respectively. Love this little foam core display board he had up in the rear window. “Made in this 80s. 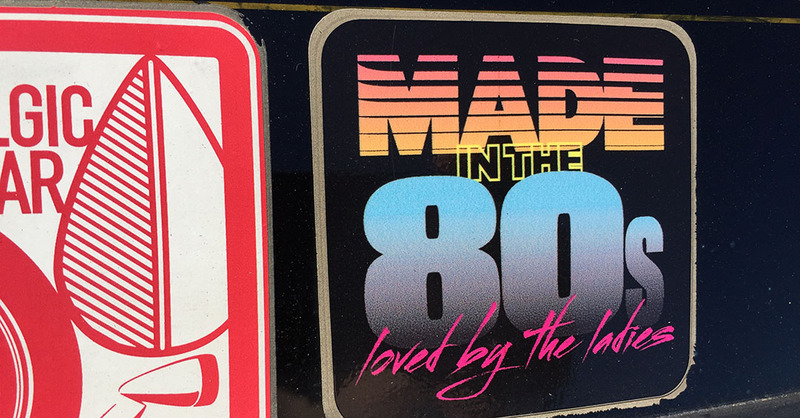 Loved by the ladies.” This sticker was on a 1980s Nissan Pulsar. Headed back to the desert via Hwy 91, Hwy 60, & Interstate 10. 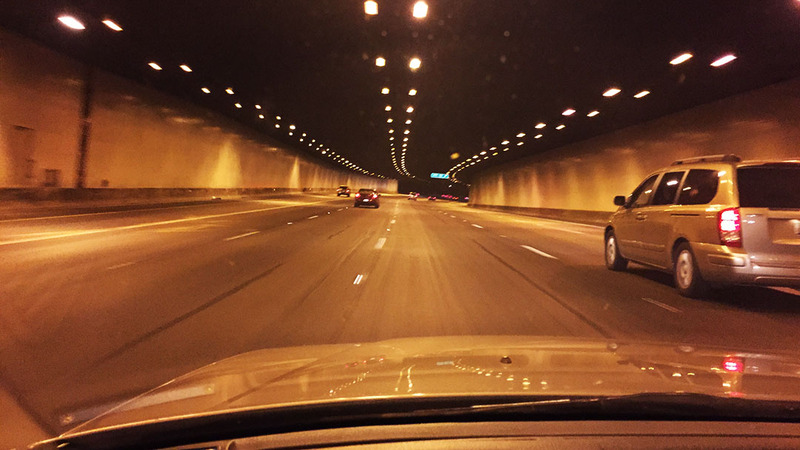 Arrival in Phoenix around 11:00 p.m. on Saturday after an easy drive. 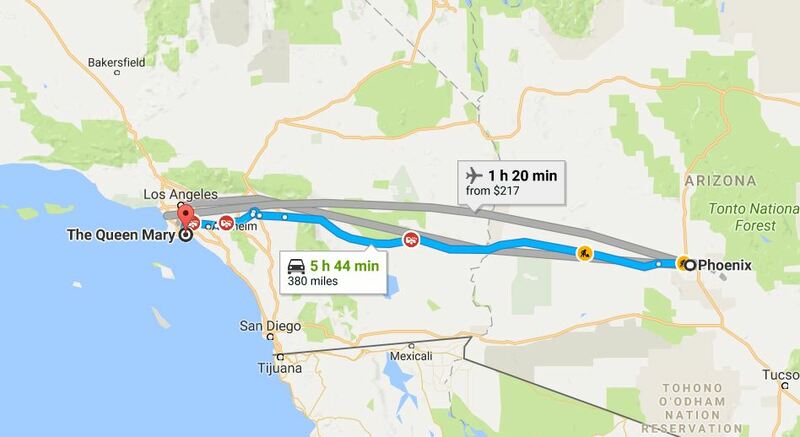 This entry was posted on September 25, 2017 at 9:32 am and is filed under California, Legend, Road Trip. You can follow any responses to this entry through the RSS 2.0 feed. You can leave a response, or trackback from your own site. Your sedan could run be over, back up…run me over AGAIN and I’d still be madly in love with it… Congrats on a well deserved award!! Ha! Easy now! I can’t wait for you to see and drive her someday. Really just floats right on down the interstate! See you SOON. Wow, that show was terrific. 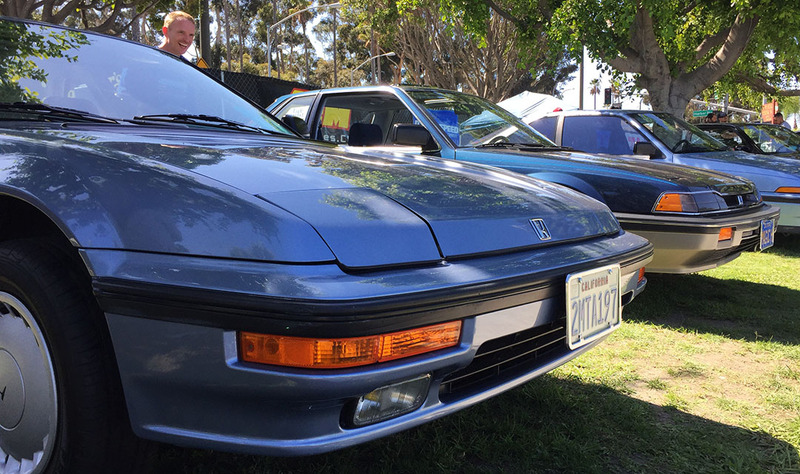 Loved all the vintage machines, especially those CRXs and Preludes. 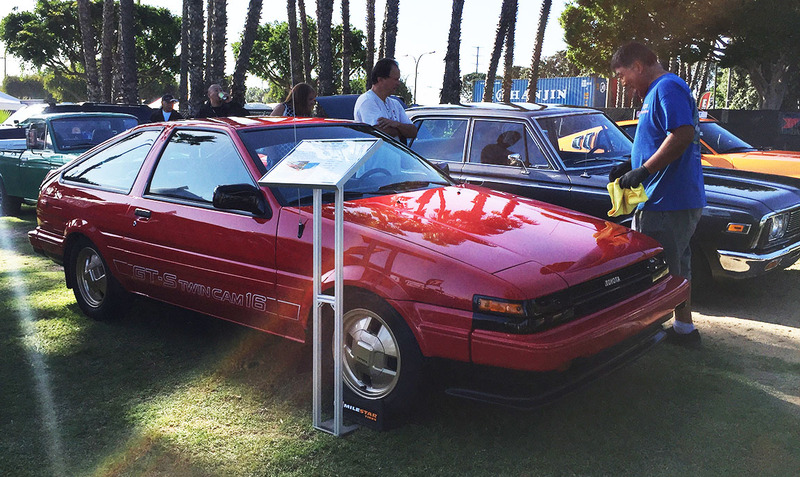 That 86 Prelude is in phenomenal shape- looks like it came from a time warp! 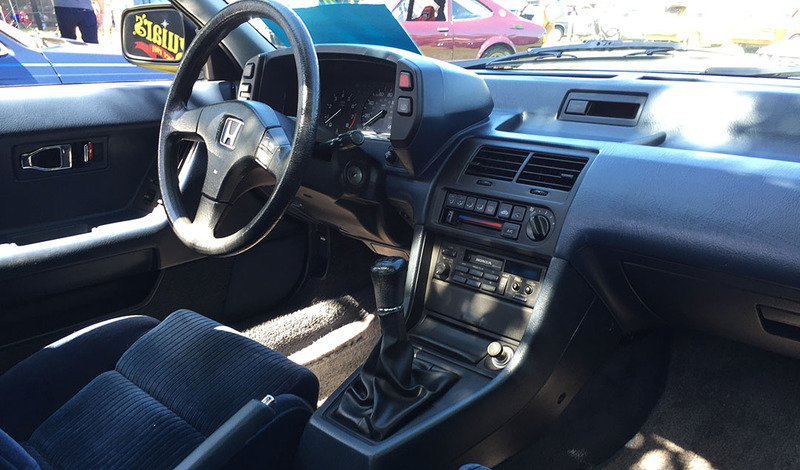 I also loved the 80 Accord hatchback, since that model was my family’s first H-ride. Congratulations on the second place. 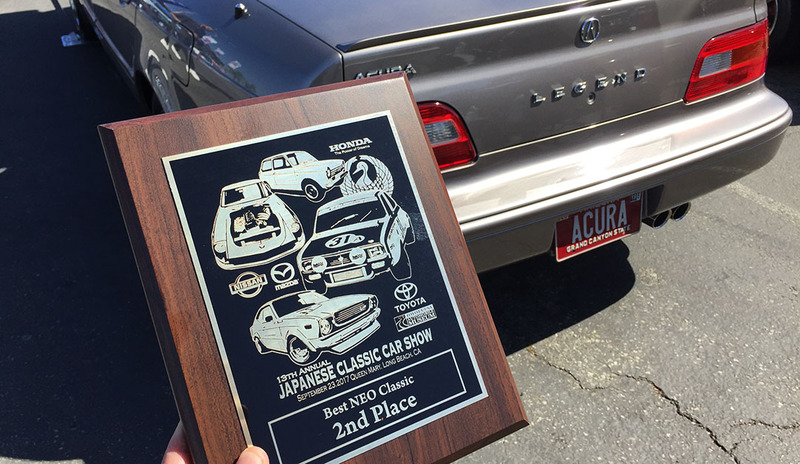 The sedan is in phenomenal shape- glad to see it getting the recognition it deserves! 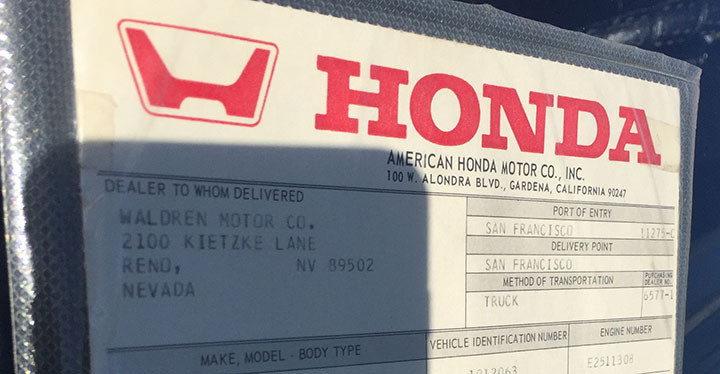 And yes, you really DO meet the nicest people on (in) a Honda! Thanks Tim! Yeah it was great to be surrounded by so many awesome people AND automobiles! It was well worth my 13-hour round-trip drive. Not that I ever need any motivation to hop in the car and drive 13 hours! Hope your weekend was equally satisfying. I appreciate the congrats. This is a great wrap-up of the day, Tyson! 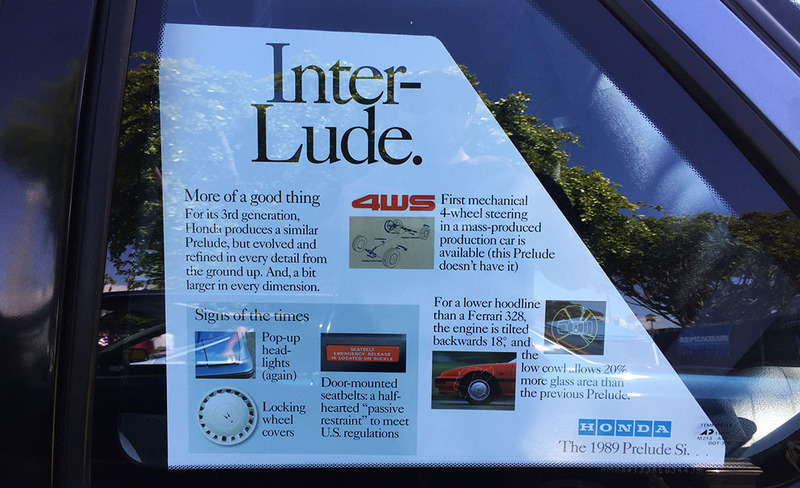 Thanks for including those nice photos of the Preludes. And congrats on your win! Hopefully this becomes a yearly tradition for you. Of course! We have to make that happen in October, with at least one of them! First congrats on your win (saying 2nd place sounds so conciliatory) but considering the competition and number of meticulously kept machines entered I think that’s quite an accomplishment! Also as we spoke about possible future Honda classics/collectibles I think beyond the expected NSX, GS-R and the like we overlooked the CRXs and Preludes. My prediction is at some point soon these will show signs of greater appreciation. On the Toyota side I think this may already be happening with the Supras, MR2s and Celicas. BTW you never mentioned the comments you surely received on your great pedestal display stand. You can’t tell us no one commented on it? 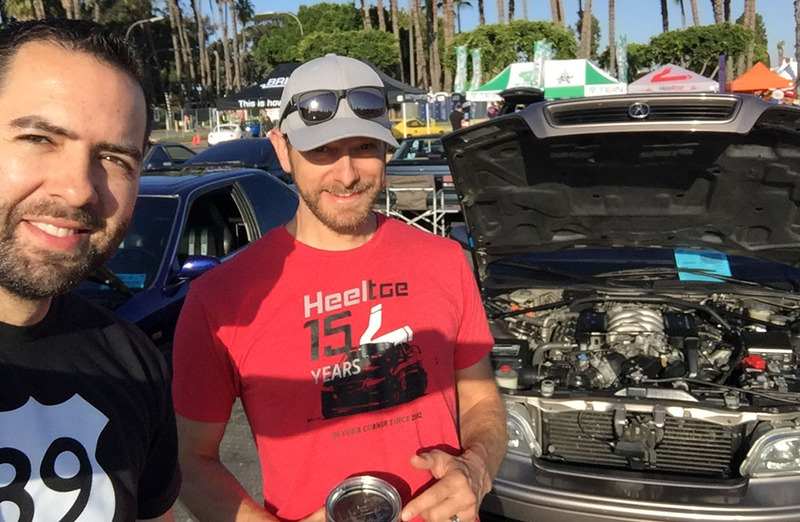 I hit it off with Marcus from HeelToe – he joked with me about how much better his former MDX was for towing the trailer down from Portland than the Expedition he was currently using. Great guy. I also met with Zac Beatty, the Operations Manager for BAT (and bought a baseball cap from him). Definitely some of the big movers and shakers in the industry. 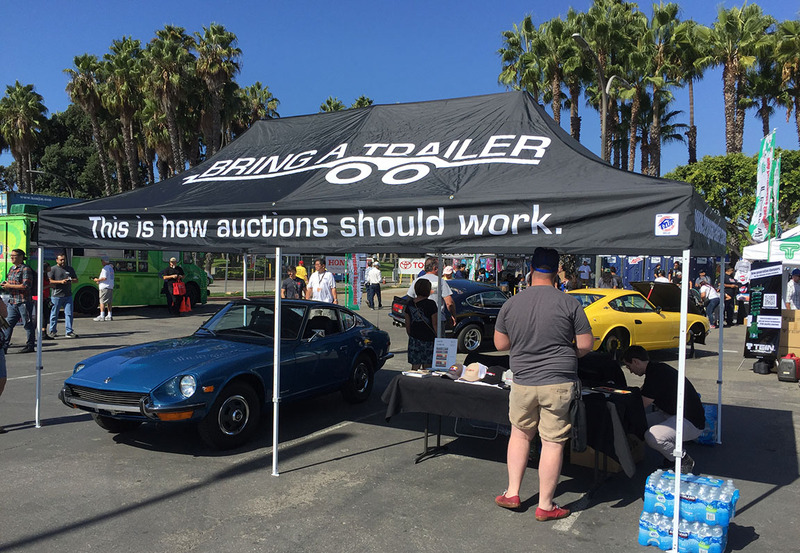 You definitely called it – there is a lot of appreciation going in the car show and collector scene for the Supra, MR2, Celica. On the Honda side we are starting to see the same. A few people commented on the aluminum pedestal! I have a few things to do with it. It needs to get powder coated (maybe a neutral gray or silver) and I have ordered an 11×14 frame to enclose the window sticker. The problem with being on the California coast was that the cardboard I’d mounted the photo to started to curl / warp with the humidity so the window sticker looked curved. A nice photo frame, somehow mounted to the top of the pedestal, ought to solve that. Thanks for asking! I sure enjoyed the morning view looking out in the garage and seeing the TSX. I also realized it’s coming up on 15 years old. It appears to be an early model 2004, built June 2003, so you’re coming up on an anniversary with it next summer. Looks great. As for the TSX anny date I forgot about that. But now that you mentioned it I just realized it happens the same year the 93SE turns 25. Seems odd they’re only 10 years apart. Looks like you had a good time out at the show, well done for the second place finish as your car looked superbly presented. The presenter from MotoMan was pretty taken with your car in that footage, good to see another passionate petrolhead. Any other exciting events approaching in the next few weeks? Adam. I know, I wish I’d been there to chat with MotoMan when he was near my car. 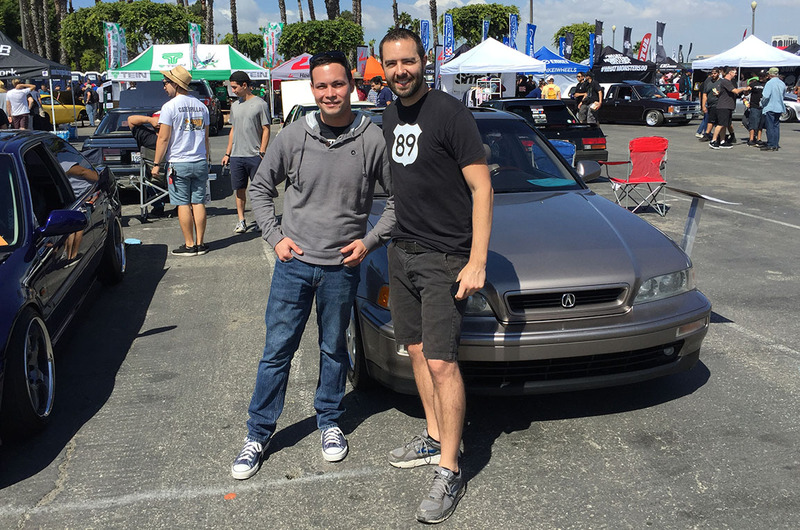 Honestly I was not familiar with his channel before the event but it’s always nice to meet fellow automotive journalists, especially those who can appreciate the types of cars that I’m into! He did get the HP rating wrong, though, haha. It should have been 230 instead of 280. As for upcoming events: Yes, I am running a race in Utah 10/7 and that’s the day the Legend coupe is scheduled to turn 555,555 miles. How about you? You’re right, it would have been neat to have provided him with some more information on the car while he was doing his walk-around. Are you and your Mum running the race together? If so, make sure you get a better time than her! I was away at a ‘Wings & Wheels’ event at the weekend, so should have a post soon about that. This coming weekend I’m up the country to follow Lydia Ko (& the rest of the LPGA tour) around a golfcourse. Hoping to visit a few car-related places while I’m away. Cheers. The GS gets some road trip action….finally with Tyson behind the wheel. That was long overdue! 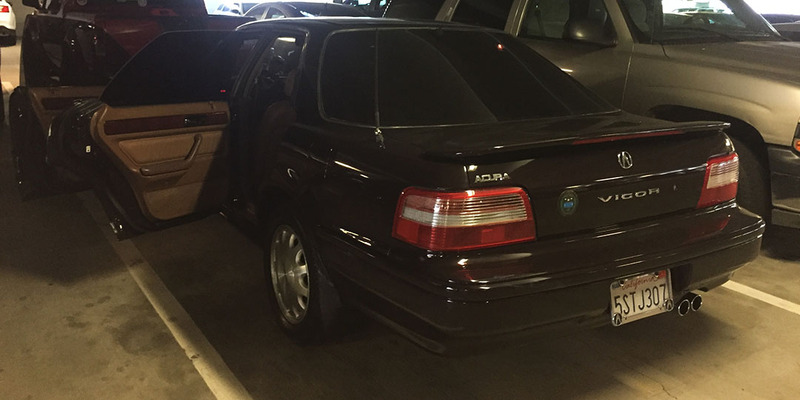 I love reading blog posts about this rare and minty GS. Definitely. More to come on that! The car sure was a nice long-hauler. I can’t rack up the miles too quickly though – need to give you some time to get yours caught up to me. Haha, no comment! But thanks Brad. 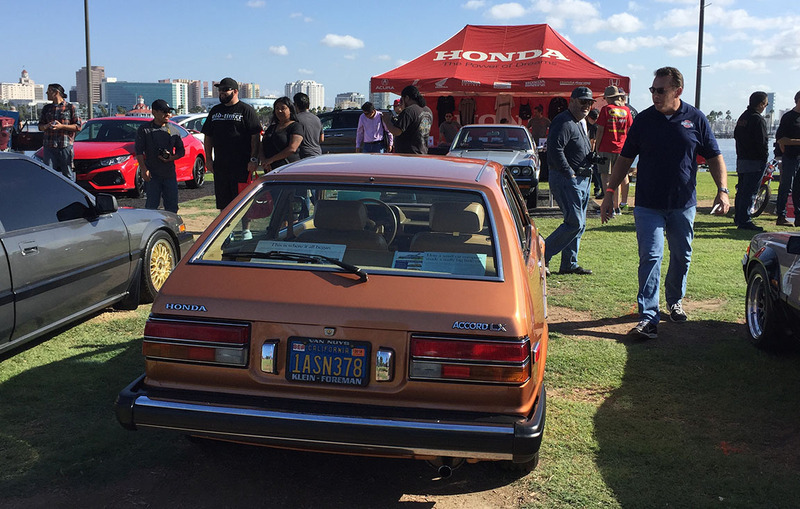 It’s only a matter of time until your Accord coupe also fits into a classic category. And you’ll have a story to tell about it. One owner, multiple cross-country trips, etc. Hey Tyson! That red car isn’t a Celica. It’s a rear-drive AE86 Toyota Corolla coupe. 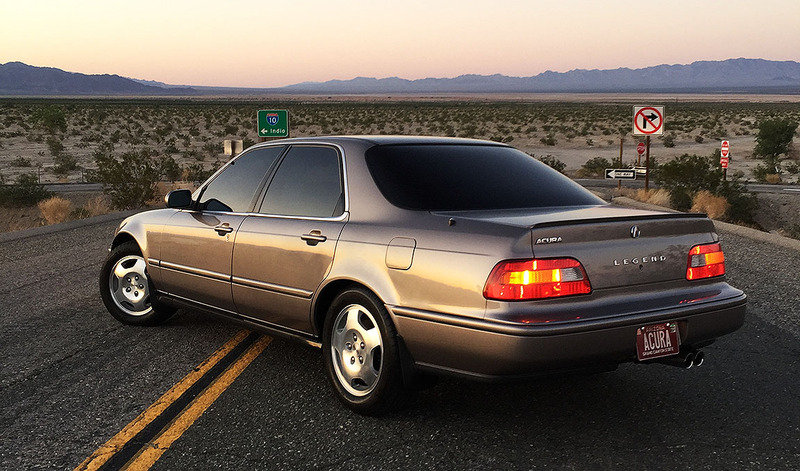 Those three pics of the sedan near Desert Center are awesome! What a beautiful car! Thank you Ross! Timing was everything. I happened to be out in middle of nowhere (I guess, thus the name “Desert Center”) at prime sunset lighting so I took the next available freeway exit and had the entire road to myself to stage a few shots. I only wish I’d had a better quality camera than my little iPhone 6. Next time I’ll be more prepared. Appreciate the comment. I’m a little late to the party. 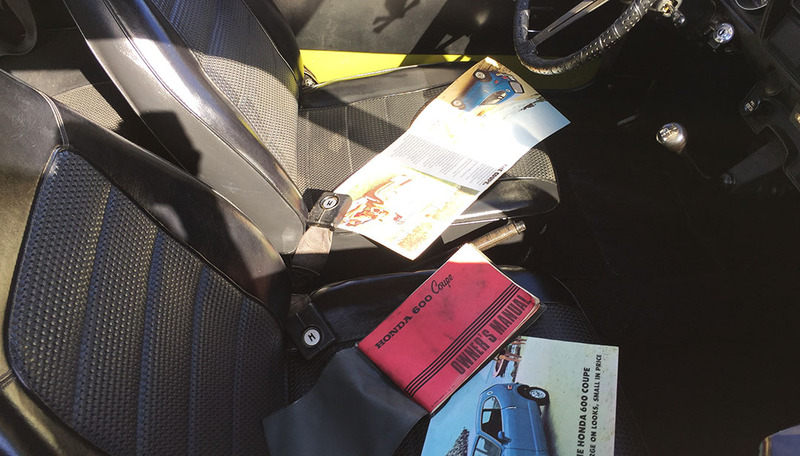 I love these old classic cars – it never seizes to amaze me how well people manage to keep their old cars looking like new. I wonder if my Isuzu would be acceptable haha.